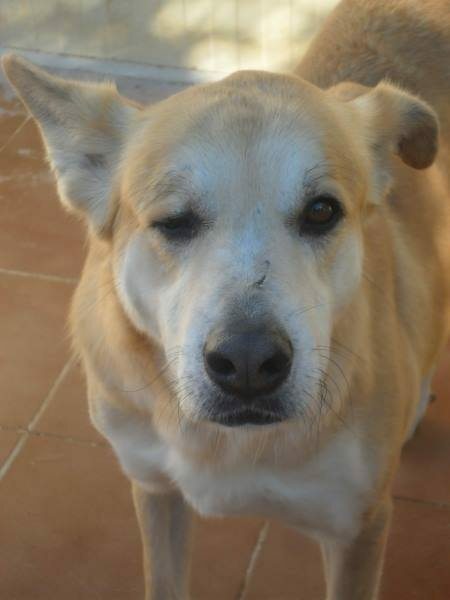 Bruto is a 7 year old male Cross-Breed. Suitable for families with children over 10 years old. He was taken to a shelter in Spain when he was a young dog but 6 years later and he is still waiting for someone to love him. Bruto is extremely affectionate with people and very sociable with other dogs. He is an active dog so looking for owners who will walk him and love him, that shouldn’t be too much to ask? Please email if you have any questions or are interested in adoption. We will do a home visit and ask you to sign an adoption contract. Our adoption donation is £225. We don’t rehome our dogs to families with children under 10 years old. For further details regarding adopting a dog from Blind Dog Rescue UK, please contact bdrukrehoming@yahoo.com or visit http://blinddogrescueuk.com - please note, we will do a home visit and ask you to sign an adoption contract. Our adoption donation is £225. We don't rehome our dogs to families with children under 10 years old.